ST. GEORGE — As Washington County’s growth continues unabated, so do important sectors of the economy, including manufacturing and technology. Finding and developing talent to fill those industries is a challenge both city government and colleges are actively addressing. Manufacturing companies and the jobs they bring to the region are as numerous as they’ve ever been, St. George Mayor Jon Pike said. Three industrial parks, including Fort Pierce, Mill Creek and the original St. George industrial park, house an array of manufacturing and fabrication companies. “If you go for a drive out there, there’s a ton of stuff going on,” Pike said of the lesser-traveled areas of industry in the city. Some of the larger production plants include Czarnowski, which builds high-end displays for major companies such as Buick, General Dynamics and Lockheed; Dean Foods, which reopened the Blue Bunny plant after it closed in September 2014; Viracon, which produces architectural glass products and Innovative Yacht Builders, which recently set up shop in the old YESCO location. “Twenty years ago, we didn’t have almost any of those,” Pike said. 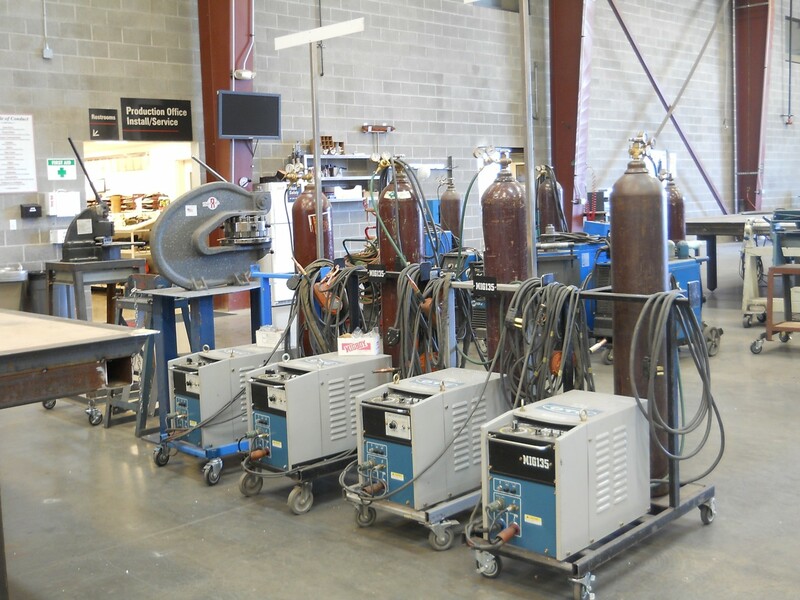 The city is working to keep those companies in the area by partnering with Dixie Applied Technology College to provide more certificates and programs in the trades. Ram Company has operated in St. George for over 40 years designing electromechanical devices. It has recently begun expanding and is looking to fill high-tech positions like engineering. The Dixie State University’s College of Science and Technology is growing and plans to introduce an engineering degree are in the works in order to fill jobs openings like those at Ram Company with community talent, Pike said. While the industrial sector is firmly in place, the city is looking to the future to attract more companies to the already growing tech industry in the region. “We want to do what we’ve done with manufacturing with technology and have a place for them,” Pike said. The proliferation of tech companies in the region is already strong, with around 100 different businesses in the region. Some of the major representatives of the tech industry include mobile application developers busybusy and Rocketmade, web developer Velocity Webworks and print solutions company Print Logic. Though the services these companies provide vary greatly, one thing they all have in common is plans to expand and greatly grow employment numbers. The challenge now is providing those companies with talent. Eric Pedersen, dean of Science and Technology at Dixie State University, said he is regularly contacted by companies looking for employees. The university is taking a proactive approach to this talent gap, looking to educate the next generation to fill these high-paying positions. The school runs about a dozen outreach programs aimed to garner youth interest in programming, web development, digital design and information technology. An eight-week summer bootcamp program immerses students in programming languages. This program has already proven successful, Pedersen said, with graduates able to find entry level coding positions by the end of it. Other outreach programs aim to bring in underrepresented demographics, such as “Girls Go Digital,” a three-day program for girls and young women ages 8-18. Graduates from DSU’s computer and information technology department have robust job opportunities in the region, and those opportunities are only growing, Pedersen said.